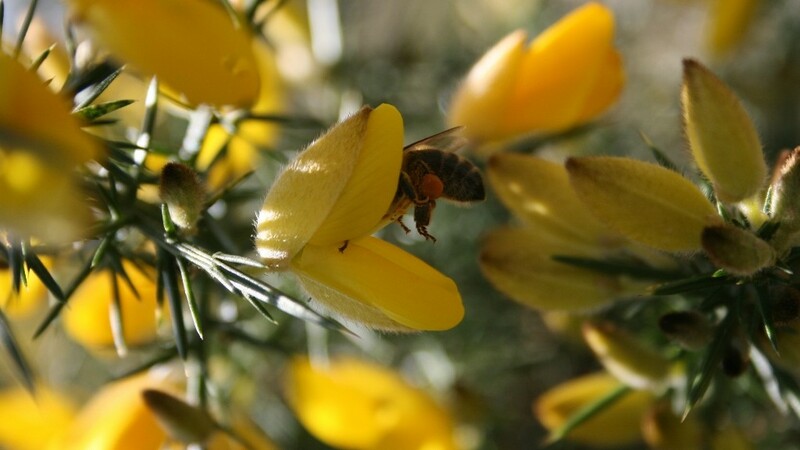 Here’s an interesting photograph – the bee in the photo above is being hoisted aloft inside a gorse flower (Ulex europaeus) by the spring-loaded pollination-paraphernalia. Note the brownish orange pollen load. In the picture below you can see the bee reversing out with its belly covered in pollen. Click the picture for a better look. 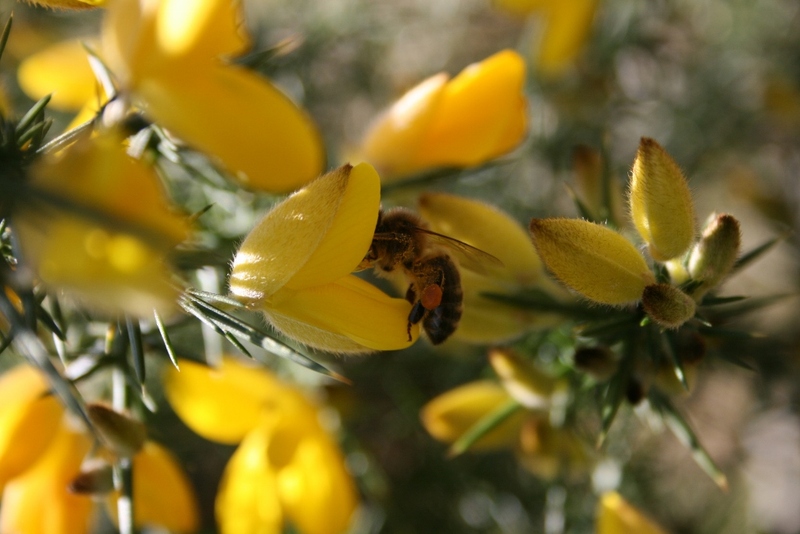 For more on the intricacies of gorse pollination click here. Wonderful photograph of the act of pollination. As a botanist I try to encourage my students to watch this process, and the same applies to broom too. I’m sure you appreciate how the whole of the Fabacaea are so intimately evolved in tandem with bees, one can see it so well with both gorse and broom but the mechanisms are subtly different for the clovers. Well said Freddy! Gorse is so important for wildlife but mostly unappreciated. If this ‘Heritage’ Bill goes through this week we may be looking at a lot less of it next March. See my latest post for more about that.